Our new heavy-duty wall bag. 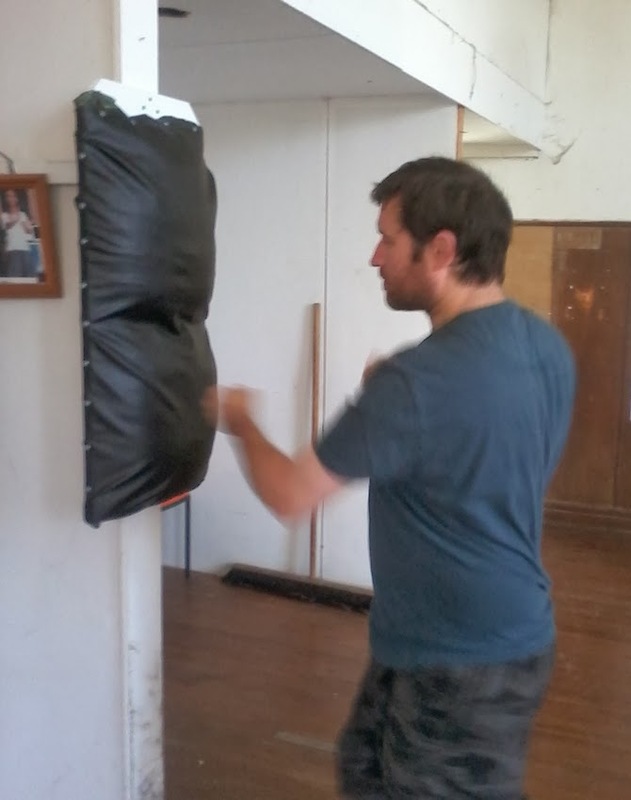 Chris trying out the wall bag he designed and made for the club. The talented Mr Holmes creates yet another piece of durable training equipment - this time as a replacement for a store-bought one that failed to cut the mustard. hah funny shane, I just posted that quote on my fb profile and then found this message.